Dunkirk and Darkest Hour are two stirring films which have been nominated for Best Picture at the Oscars and honestly don't deserve the award. They are very good though and both worth watching to remind ourselves of the tremendous sacrifices made by so many for a world free of tyranny. I am a post-war Baby Boomer but both my father and father-in-law served in WW2. Dunkirk gives us the panoramic view of the extraordinary and heroic evacuation of British and Allied troops from the French beaches. Darkest Hour focusses on the soul-searching of Winston Churchill, thrust into the role of Prime Minister. The film portrays his loneliness despite the bluster, his oratorical prowess, and his determination to fight to the end. As this story is told, former Prime Minister Neville Chamberlain, Lord Halifax, and even Anthony Eden want Churchill to consider negotiating peace, but he was convinced that Hitler could not be trusted. As I watched Gary Oldman's fine portrayal of Churchill I wondered how I as a Christian should regard Churchill's resolve. It makes for excellent story-telling but is it good theology? Churchill did quote the bible in speeches and invoke God's protection, but most did at that time. 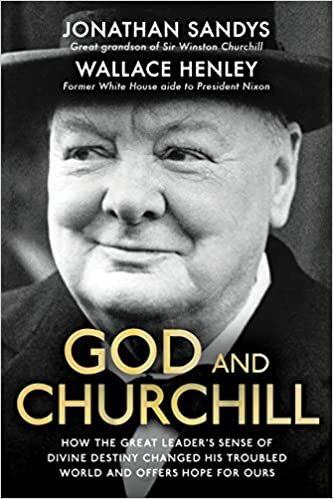 His grandson co-authored a book called God and Churchill in which he maintains that Churchill's worldview concerning evil was informed by the Christianity he learned from his childhood nanny. In a few weeks we will enter into the prelude of Easter called Holy Week and hear that in his darkest hour Jesus refuses to use force to resist the Roman Empire and those who come to arrest him saying "those who live by the sword will die by the sword." I will be cheering for Dunkirk to win best picture. I absolutely loved the movie - the cinematography was amazing and you almost felt you were there on the beach with the soldiers. It was one of those movies that held my attention throughout - even during my third viewing of the film. I took my father to see the movie - he is 92 and served in WW2 - and although a day after seeing the movie he had little memory of the movie, we had a very good conversation about war and the experiences he had in Burma during the war. I give Dunkirk....two thumbs up!